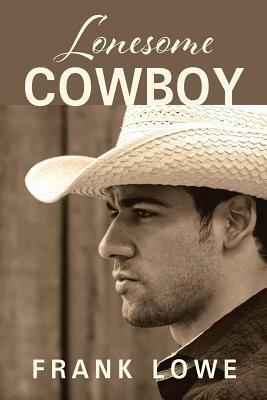 The book with the generic cowboy on the cover contains a relatively generic story inside. I wouldn’t classify it as “Action/Adventure” due to a pretty significant omission of fight scenes. “Drama” would probably fit it better, since that’s the main, driving force of this book. I will admit that, while being about a country singer, it doesn’t focus too long on the “losses” in life (i.e. the guy lost his dog, his truck, his girl, et cetera). Of course, the types and magnitude of the successes of the main character do make the story hard to believe at times. Told in the third person, Lonesome Cowboy suffers from having a “telling” narrator instead of the characters “showing” their emotions. Consequently, even if the characters do show their emotions, the narrator telling the reader these emotions before they happen makes the whole bit seem repetitive and redundant. In fact, there’s almost this invisible barrier put up between the characters and the reader because the narrator is such a large force in the telling of the story, ensuring the reader understands everything that’s happening (even if it feels like the point is often belabored). While the second half of the book is somewhat entertaining, an idiotic main character, who makes plenty of assumptions despite the evidence being to the contrary, plagues the first half. His romantic plotline didn’t seem like it came about naturally due to the aforementioned “telling,” so when his dreams come to fruition, he could finally move on as a character and develop. It is also in this second half where there is a relatively good examination of Mexican racism against Americans, which I found to be a fascinating exploration given America’s current racial landscape. A book which contains no cowboys or lonesome people, I give Lonesome Cowboy 3.0 stars out of 5.